Фабрика за идеи » Events » Transformation – our Christmas party! Transformation – our Christmas party! New lights are starting to bravely shine within the Factory’s inner life – many of our daily causes reached a desired condition, a lot of work is at hand… and we need you to celebrate it together once again :) In new lights! 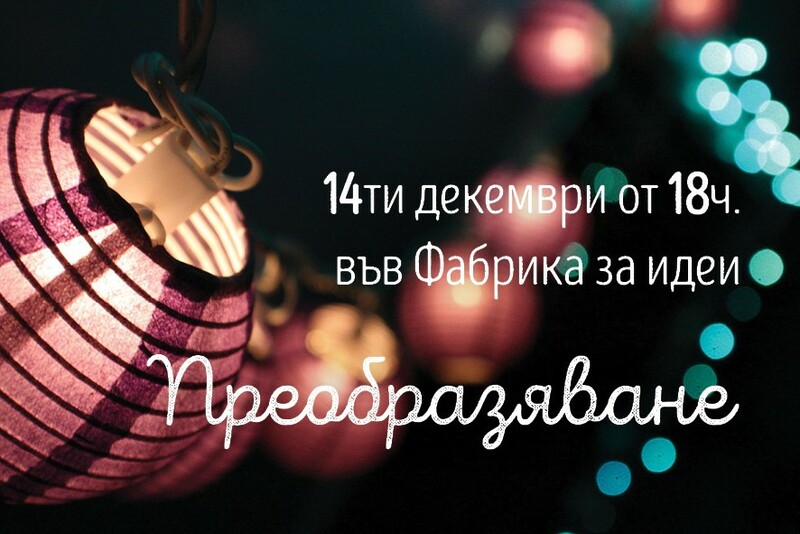 Come to our Christmas part on 14th of December after 6 pm. Bring your lights!